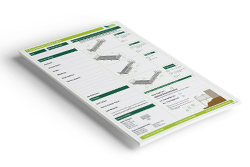 We support our installers with a range of installation guides, marketing material and more! Whether it’s for caravan and holiday parks or for the domestic market, Liniar’s range of decking and fencing has been designed with the installer in mind. Not only is it simple to fit, it’s also stylish, strong, safe and durable. 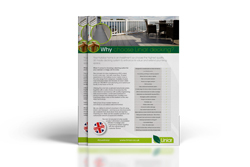 With over 15 years of experience in the uPVC decking and fencing markets, Liniar produces the only full product range that’s designed, modelled, tooled, manufactured and stocked at its own modern 400,000ft² premises in the heart of Britain. 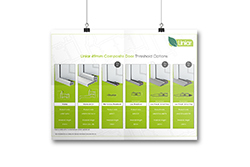 Liniar uPVC deck boards are 100% lead-free and made from 86% recycled materials. They also offer an anti-slip tread for additional safety, carry a Class 1 fire rating and are slightly domed to maximise drainage. Just like timber decking, Liniar’s deck boards are ‘tongue and groove’ to enable quick fitting – and at 225mm wide, fewer boards are needed than the timber equivalent to complete the job. 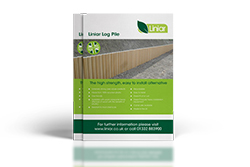 Boards come in 6m lengths – meaning very little waste for installers. They are available in two patterns and a choice of five colours: grey, brown, beige, stone and cream. Liniar has developed its own galvanised steel sub-frame, creating the ideal maintenance-free base on which to build a deck. And we’ve now made our sub-frames even easier to assemble. The steel is pre-slotted so no pre-drilling is required, and our recently launched uPVC sub-frame nogging is a quick and cost effective way to connect all sub-frame joists with the minimum of preparation work. Watch the comparison video to see the time saving for yourself. The matching Liniar balustrade system is the only one of its kind available in a fully sculptured style, making it the ideal attractive choice for edging decks. With a choice of pickets (including glass), post caps, and a wide range of coloured and foiled finishes, Liniar balustrades can also be finished with matching lights. 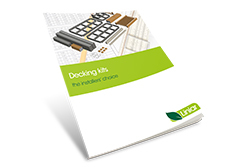 Liniar’s plastic decking range is now available in kit format. Decking kits are delivered to site part assembled for a faster installation. 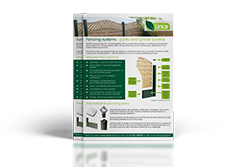 Liniar’s uPVC fencing range provides a stylish, safe and user-friendly alternative to concrete or timber fencing – but can also be used in conjunction with either. Despite its lightweight design, the Liniar system is strong, offers an extremely low maintenance option and does not rot or rust – making it exceptionally durable. Available in a wide range of finishes, Liniar fencing can be mixed and matched with deck boards and balustrades for a completely bespoke installation. Choose from 3 classic, 4 foiled and 3 composite finishes. 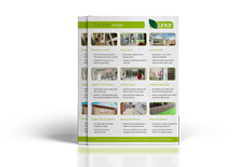 A full range of marketing literature is available to help you present Liniar decking and fencing products to your customers, which can be branded with your own company logo and details. 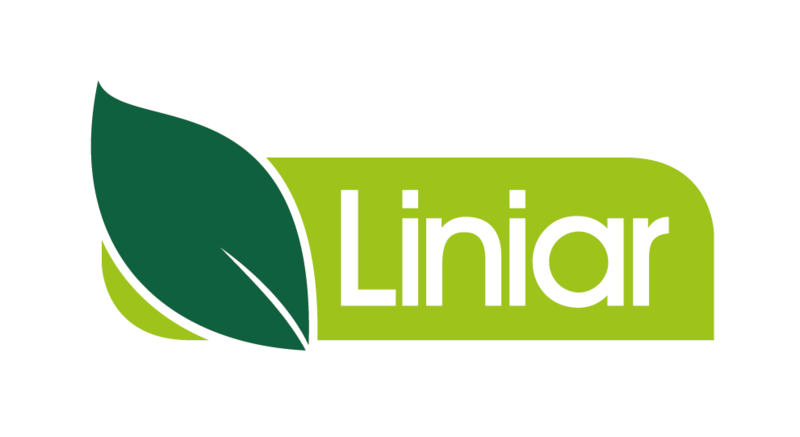 You can also access a range of Liniar-branded merchandise. The Liniar technical support team is on hand to answer queries, provide engineering values and other technical data to support your installation requirements. We also give you access to samples, allowing your customers to get hands on with the Liniar range and feel the quality for themselves. Liniar’s ranges are continually evolving – not only is it the only fully sculptured balustrade system available, we have also developed a matching lockable storage box that can be built into decks, keeping valuables secure. Liniar invests heavily in research and development to ensure that you are always able to offer the very latest products to your customers. Unlike timber, Liniar’s fencing, decking and balustrading is maintenance free. No sanding, staining or painting is necessary – when you feel that they need a clean, all that’s needed is warm soapy water and a soft cloth. 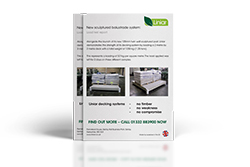 Once you become a Liniar customer you’ll be allocated a dedicated sales order contact at our head office. 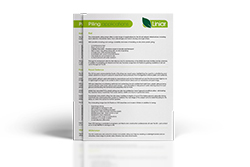 Your sales representative will become your main point of contact with Liniar to deal with any customer service enquiries. Each Liniar decking and fencing installation is uniquely designed to suit the individual. 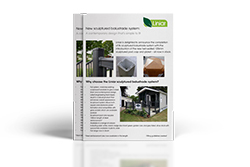 Liniar works with installers to provide tailored solutions, whatever the plot or type of caravan, lodge, park home or domestic garden. Wallchart showing the 49mm Composite Door threshold options.